This collection of essays explores Faulkner's widespread cultural import. Drawing on a wide range of cultural theory and written in accessible English, ten major Faulkner scholars examine the enduring whole of Faulkner's oeuvre. Bringing into focus the broader cultural context which lent its resonance to his work, the collection will be particularly useful for the student seeking critical introduction to Faulkner, while also serving the dedicated scholar interested in recent trends in Faulkner criticism. 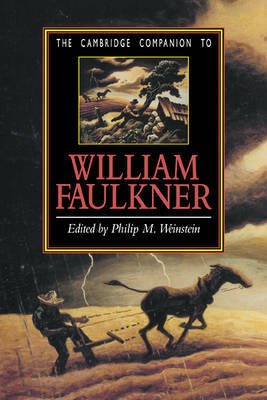 Together these essays map Faulkner's contemporary meaning by exploring his relation to modernism and postmodernism, to twentieth-century mass culture, to European and Latin American fiction, to issues of gender difference, and, above all, to the conflicted scene of United States race relations. Neither assuming in advance his literary 'greatness' nor insisting that his canonical status be revoked, they instead pose the question: what is at stake today in reading Faulkner?